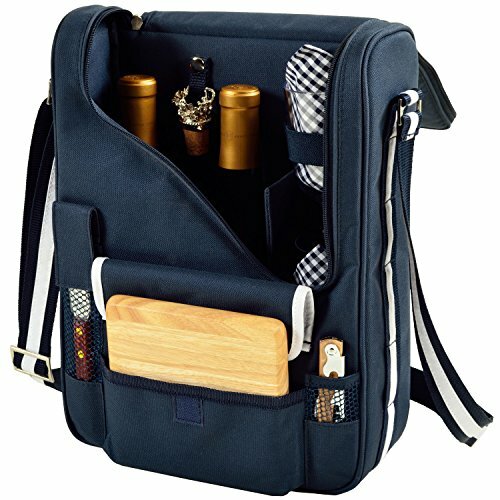 This Turismo insulated cooler backpack by Oniva, a Picnic Time brand, features two large insulated interior compartments for keeping food and drinks cold. 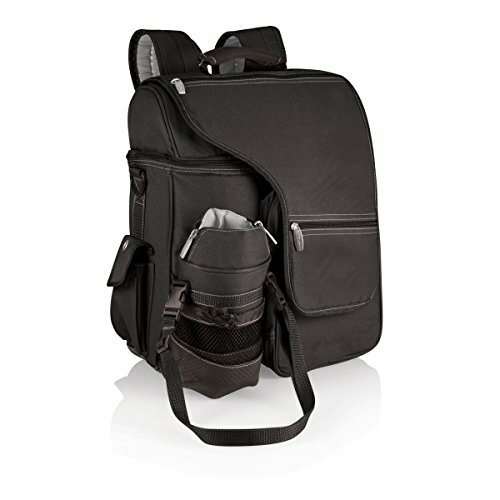 The Turismo also includes a multi-use mesh pocket with reinforced base and drawstring closure and hidden zippered pocket for valuables, plus non-slip, extra-comfortable backpack straps. It comes with a removable insulated water bottle holder with an adjustable shoulder strap. The durable polyester canvas construction makes the Turismo a true keeper! Perfect for travel, picnics, concerts, strolling at the beach, as a day pack, school backpack, or for road trips, this backpack is super-versatile. Measures 19 by 16 by 5 inches, and backed by the Picnic Time Family of Brands BUILT TO LAST Lifetime Guarantee.